Text message at 21:22 “Bugger…. 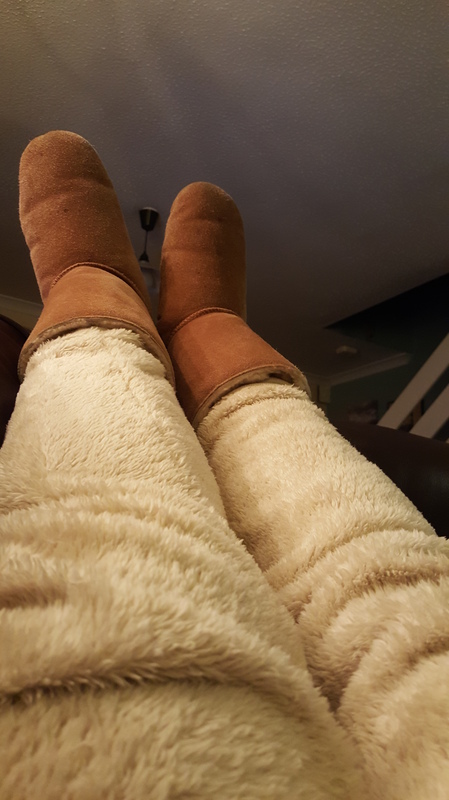 I have a couple of attempts to get out of the door – How can Manor Close be so busy – it’s 9.45pm? We drop off the maps and head home. I’ve definitely had enough now – too tired to even eat. It was a long day. But what a day – I completed my first marathon length event. 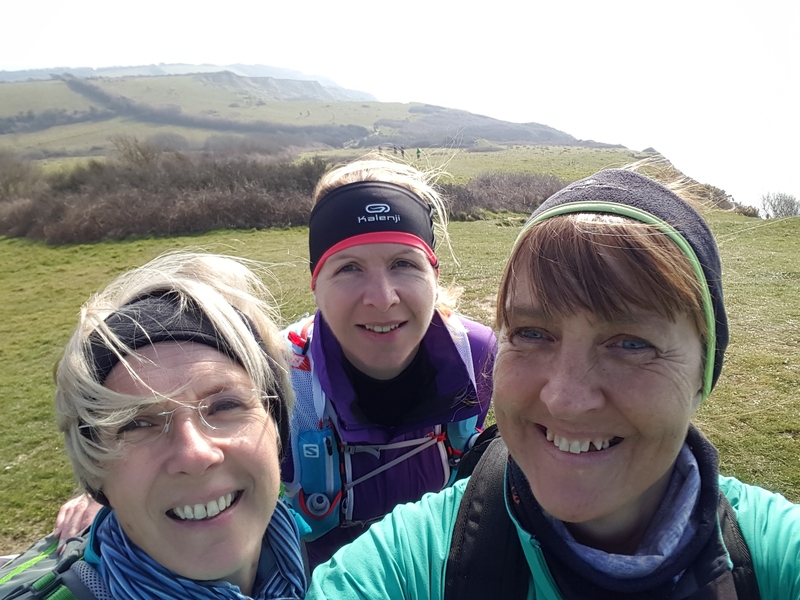 Sally, Nancy & I walked from Charmouth to Ferrybridge along the stunning (and hilly) Jurassic Coast in Dorset. 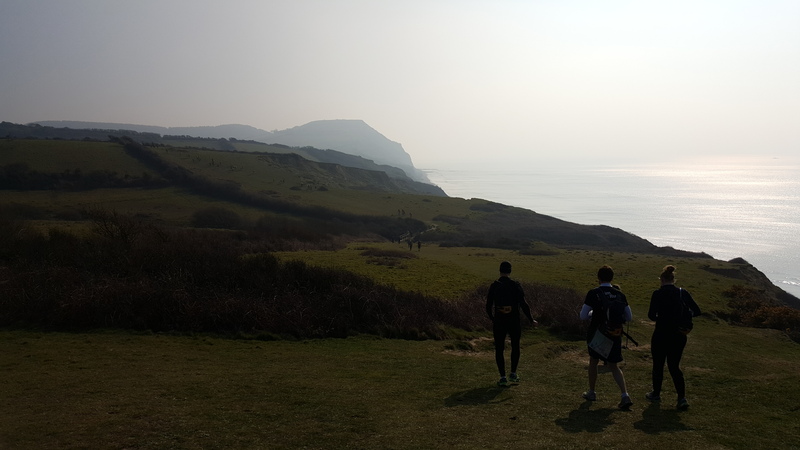 It was day one of the Jurassic Coast Challenge 2016. Sally & I only signed up to do the first day – Nancy was doing all three. I was glad to get the big hill out of the way early (wouldn’t have coped to well if it’d been at the end!) We did well & got to West Bay before any runners – we’d fully expected to see them passing us by then. We trudged on – putting on some layers at the top of East Cliff – it had clouded over & the wind was biting. 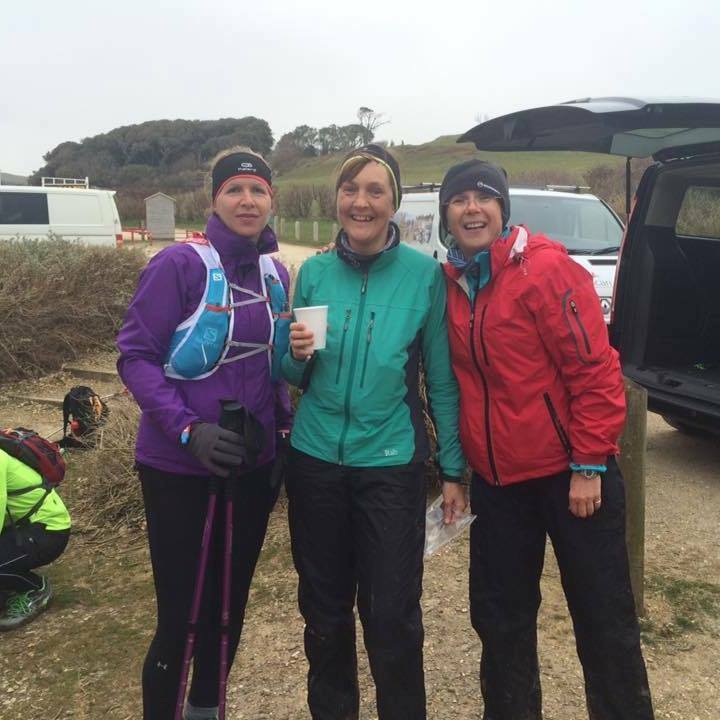 Check point 2 (Abbotsbury) was within spitting distance – Sally started speeding up… I just couldn’t do it – I’d not been fuelling correctly. I think Sal was worried we’d miss them. Over half way & only one more hill of note – we were in good spirits. Note quite sure how the conversation of rabbits came up – but what do you call a group of rabbits? 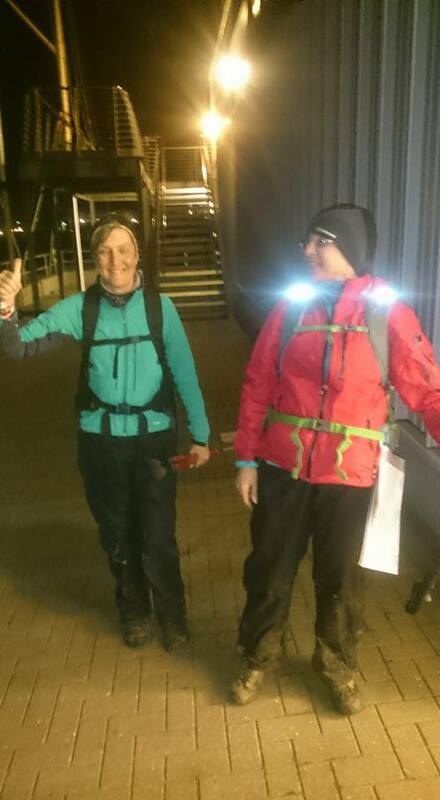 We settled into a trudge – the miles starting to make themselves felt – just the Fleet to do. It’s a little tinker is that Fleet…you can see Portland, so you think your nearly there. It’s relatively flat…but it goes on and on and on… in and out, it wiggles and meanders. The light was changing – we’d been going for nearly 7 hours.It was around this point it became a chore. We just had to grind out the miles…and what a grind. We were chatting less and just trudging on – I was holding back the other 2 – I was slowly running out of steam & I’m sorry I held them back. Safe to say – it got dark – we got our torches out & continued trudging. Nancy had a blister crisis, which we patched up. We were at the Camp Road bridging camp – Portland was actually starting to look closer. Dave is waiting again, so good to see him. 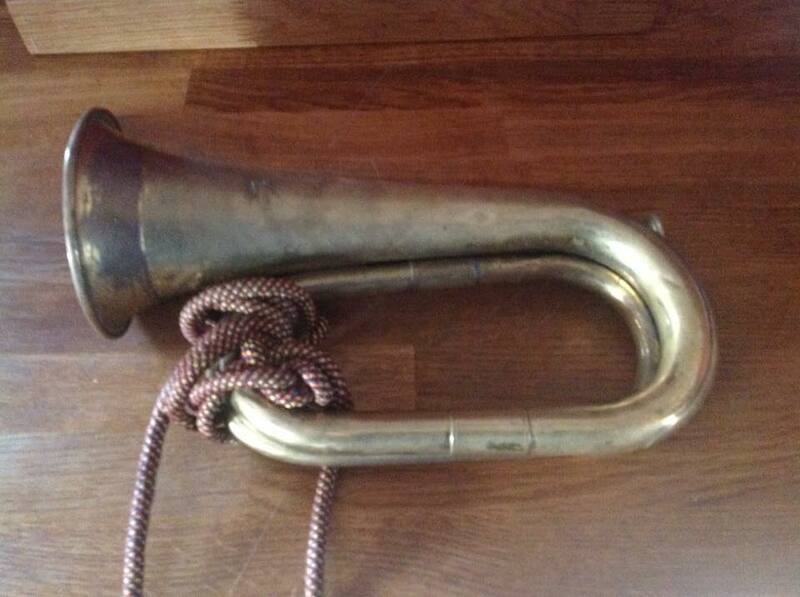 Then we hear it… yes, it’s a bugle…it’s Ali…we cheer & head down to this welcoming sound – bringing in the troops. I have never been so pleased to see someone – it really, really lifted our spirits. I gave her a big hug & we marched on. It got boring here – it’s dark & we’re still wiggling along the edge of the Fleet. We eventually pop out by the Crab House – more peeps there with hugs and support. I’m humbled that people were willing to come out on a freezing evening to see the 3 of us. Thank you Aaron & Laura. I look across the beach road – nearly there, just Hamm Beach…it goes on and on. Nancy breaks away – she’s got the lady who did it in jeans in here sights – got to beat her in…. We wind it up a notch and take over as well. At the end we see Sarah & Mike & Thomas who walk in with us. At 9:58:33 I dib at the finish. I’m absolutely exhausted. I hope Thomas does remember to make us a couple of medals – you see one day of this challenge only gets you a tee-shirt….